Tert.am has interviewed Dennis Sammut, Executive Director of LINKS (Dialogue, Analysis and Research) and Member of the European Policy Center, over the future of the EU-Armenia relations and the ratification of the Comprehensive and Enhanced Partnership Agreement signed in December 2017. 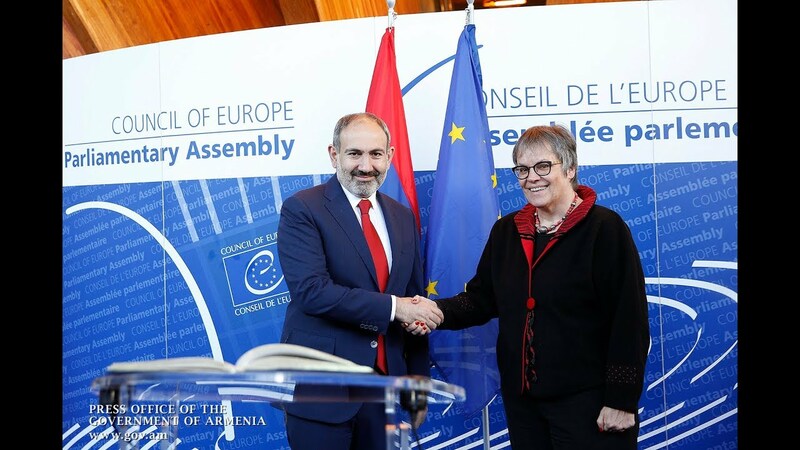 There are concerns in Armenia that not all the member states of the European Union will manage to ratify the agreement until late 2019 given that only nine out of the 28 countries have so far ratified the deal. Do you think there are real reasons for such concerns? The ratification of any agreement or treaty with the European Union takes a long time because it involves all the 28 member states having to scrutinise it and ratify it as part of the process. This usually takes some time, and of course this is always very frustrating for those concerned, in this case Armenia. But, in the meantime, some of the provisions of the EU-Armenia agreement are already being implemented. This time, during which ratification is taking place, should be seen as a time for preparation. And the Armenian authorities can use it to put in place those arrangements necessary for the agreement to work successfully once it comes fully into force. Regarding the issue of ratification though, there is one important development. From this week Armenia has a new parliament – one with huge talent and potential. The new parliament needs to engage with the parliaments of the EU member states in an efficient and systematic way, and this can contribute to speeding up the process. What is your opinion on the new authorities’ policies in the process of developing the relations with EU? The events that happened in Armenia in 2018 were very dramatic, and very historic, but 2018 was also a year of transition, ending with the elections in December. With the new government and parliament now in place, the process of implementing the new policies now starts. The government has put economic reform and social progress at the heart of its policy. There is no better partner for Armenia on these issues than the European Union – it is a question of identifying the right mechanisms to ensure that this co-operation is effective. With the ratification being in process now, do you see a real desire to move according to the spirit of the Agreement? The desire is there. The political will is there on both sides. But this is a very complex agreement that requires dedicated work by professionals to ensure that it gives the best results. Armenia must make sure it has the right team in place to do that. Again, I want to emphasise the important role that parliament needs to play in monitoring the process in all its stages. From the European side, I feel there is absolute determination to ensure the agreement comes into force as soon as possible and is implemented successfully. It is important both sides remain fully committed to this. There have always been concerns as to whether Armenia can maintain the balance between its relations with the EU and Russia? Do you think our ‘revolutionary authorities’ are able to do that? Nikol Pashinyan, from the very beginning, emphasised the importance of continuity on this issue. I think all the steps that he and his government have taken so far have confirmed this. But I also recognise that the Armenian government needs to look after the interests of Armenia, and so issues may arise from time to time, in relations with Russia, as well as with the EU. The best way to deal with these issues is through negotiations and diplomacy. A problem or an issue between two countries is not necessarily a crisis. Frankly I do not see a crisis in Armenian-Russian relations at the moment. In time it will become clearer what works and what does not, and I am sure that at that stage the government will make the adjustments necessary.